What does the former One Direction singer have in common with the romantic drama AFTER? A lot, actually. The new YA film is based on Harry Styles fan fiction written by Anna Todd. 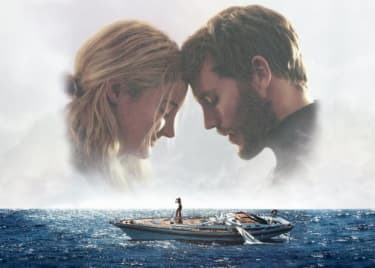 Learn more about the story’s strange journey to the big screen and get your tickets to AFTER at AMC today. In 2013, 24-year-old Anna Todd started writing and posting chapters of her Harry Styles/One Direction fan fiction on Wattpad, an online social storytelling platform. Her story portrayed Styles and his 1D bandmates as punk students at Washington State University (except for Liam Payne, the main character’s upstanding best friend). Aside from the musical superstars tie-in, the plot is what you might expect from a YA romance drama: Good girl Tessa Young falls for the bad boy, and they begin a tumultuous relationship that reveals the fictional Styles’ dark background. Todd landed a publishing deal in 2014, but the in-print version changed Styles’ name to Hardin Scott and removed all other references of One Direction. “After” became a best-selling worldwide phenomenon and the first novel in Todd’s now five-book series. On April 12, AFTER will come to the big screen, with Todd as a co-producer and Jenny Gage as the director. The film stars Josephine Langford as the innocent Tessa Young and Hero Fiennes-Tiffin as the brooding Hardin Scott. Young embarks on her college journey as a dedicated student, dutiful daughter and loyal girlfriend to her high school sweetheart, but her world is flipped upside down when she meets the mysterious and magnetic Scott, who makes her question all she thought she knew about herself and what she wants out of life. Though AFTER is based on a YA novel, the romance drama is steamy. The story is commonly referred to as the teen “50 Shades of Grey” — also based on fan fiction, for TWILIGHT — in the sense that a virginal girl gets tangled up with an “experienced” bad boy with a haunted past, who helps her explore her sexuality. 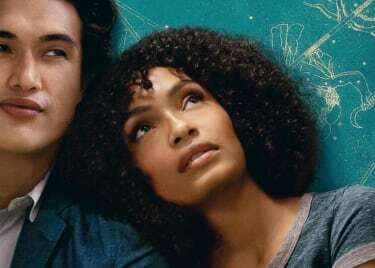 The film promises “AFTER your first, life is never the same.” Get your tickets to AFTER at AMC today.